As a part of the Christmas celebration, putting up a Christmas Tree is also a bonding and creative activity for the entire family. I’d say it’s the main indoor or outdoor Christmas decoration ever! – whether at home, parks, malls, tourist spots or in any establishment. Kids are more excited to help in setting up this tree, because under the Christmas tree they are expecting to see lots of toys and goodies from their parents and the rest of the elders. Not only that it’s rich in attractive colors, style and hanging decorations, but do you guys know that this Yuletide tree is actually also very rich in symbol, significance and in many ways, it’s a part of the history in several periods too. This custom is said to begin in the 1510 in Riga, Latvia. Before it was a real decorated tree. Take note, REAL trees usually the green ones like evergreen, conifer such as spruce, or pine or fir! Evergreen was believed to symbolize eternal life in the ancient Egyptians, Chinese, and Hebrews. Another identified symbol of the Christmas tree is Adam and Eve’s tree of paradise. Anyway,the traditional hanging decorations were also real and edible stuffs like apples, nuts or dates. In the 18th century, lighting candles to illuminate the tree became a part of the tradition but since this would be fire hazardous, eventually colorful electric Christmas lights have been created to alternate. The light was believe to represent Jesus as the light of the world as how he describes himself to his disciples and to the world of today (John 8:12). Later on, different fancy ornaments, garlands,tinsel, ribbons and stuffs of various designs are also use to decorate the Christmas Tree. On top of the tree, an angel or star is placed. Both symbolic items that had significant part in the birth of Jesus in Bethlehem or also known as the Nativity. Another old story why trees are decorated is because during winter and when the trees had lost their leaves, it means that the spirit of the tree had left and that leave won’t grown again. So people who are hopeful that the spirits would return to the trees, they fancily decorate and dress up the tress and yearly it seems to be very effective because the trees would burst with abundant leave again. It then became a yearly practice for them. 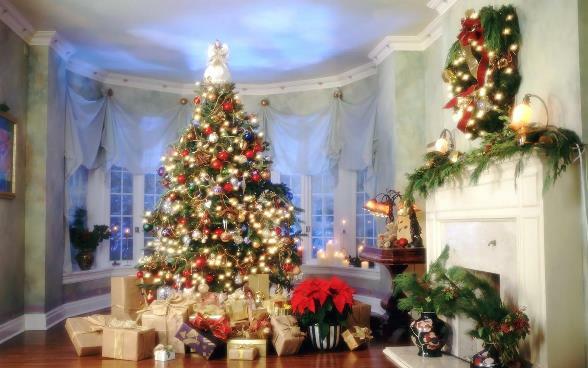 In England, Christmas tree became famous when Queen Victoria’s husband Prince Albert brought home a tree from Germany. Their family photo around the Christmas tree was even published in the newspaper and yes it was how the English were influenced to practice it too. In other different countries, great personalities who were known to have started this Christmas tree were the reason of how this tradition became known to each country. 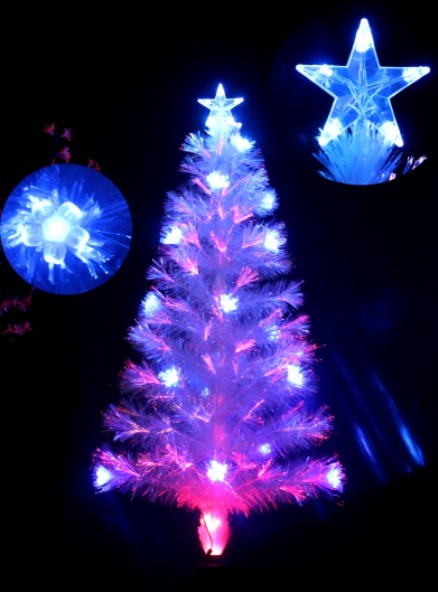 Nowadays, artificial Christmas trees are widely used. Maybe people realized we need to save the earth too so instead of real trees, better use the artificial materials. 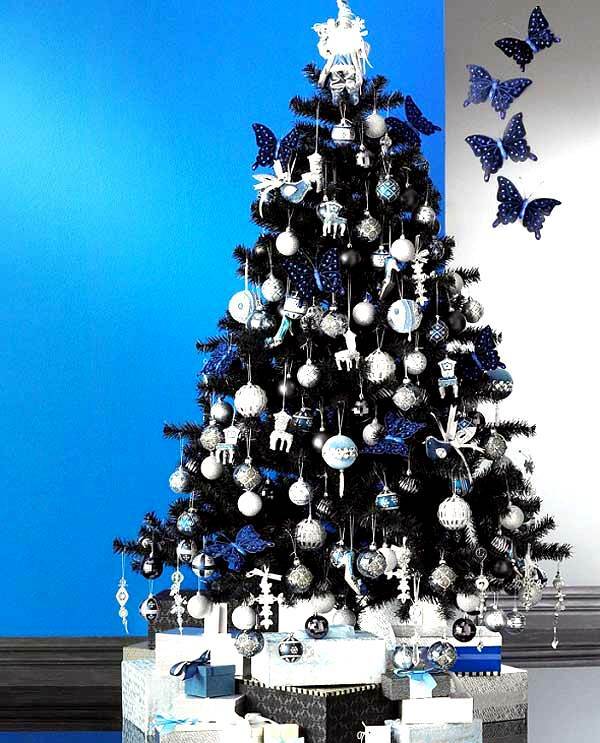 There are lots of Christmas Tree Decorating Ideas and are equally wonderful as the traditional Yule-trees. 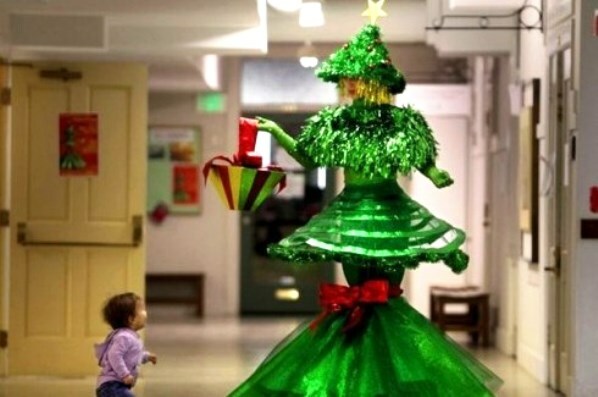 Everyone’s being creative to make their trees unique, fashionable, appealing and memorable each year. I know you guys are feeling excited to see the different ideas so scroll down and be mesmerized. You are very much welcome to comment, like and free Pinterest, Twitter, Facebook share too. Scroll down and enjoy everyone! The hassle part on wanting to have a real Christmas tree is that you needed to find the perfect looking tree and cut your own Christmas Tree . These are raw trees that you will turn into an awesome tree! If you don’t want to cut a tree yourself, then be thankful Real Christmas Tree Farm or Shops are also selling! Location of these trees varies, like they are not usually seen here in the Philippines because they grow in cool places and our country has tropical climate which usually is hot. As what I’ve said earlier in this post that evergreen, fir, pine trees and the rest of the gang aren’t usually available in all countries. That’s the very reason why these are fake Christmas trees are widely use worldwide. Yup! Not only that they are instantly available in the department stores but because most of them are already decorated Christmas trees or some are pre-lit Christmas trees which gives you less work left to be done. There are different types of them that would drive you crazy which to buy. What’s good about these kind of Christmas trees is that you don’t need to put Christmas lights around it anymore. It’s pre-made and yes it’s wonderfully done. Before, the tiny light bulbs are use for this kind of Christmas tree but lately the fiber optic ones have become more in demand and looks nicer too. If you would look at it closely, these are bundled nylon-like (but they really seem to look like nylons for me). 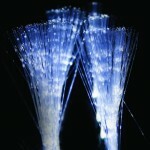 Lights are not limited to white because different colors are available. These color looks very classy. 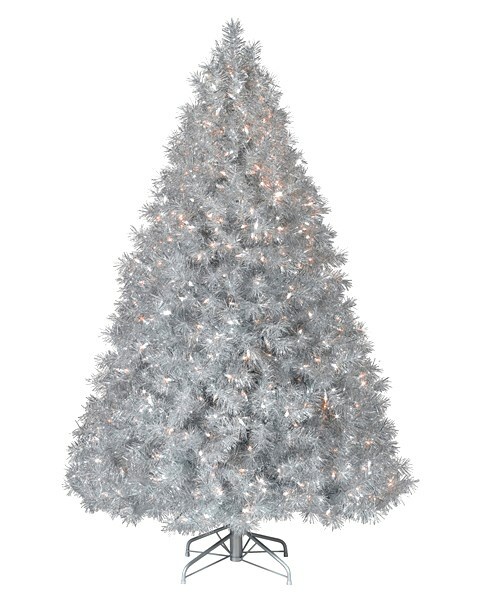 That maybe the reason why some would choose to have a sparkling Aluminum or Silver Christmas tree at home. Good thing about them, they are light reflectors that even if you don’t put Christmas lights around it they still seem to glow. Why do some set up these wall Christmas trees? The only reason I see is because it’s a space saver. Usually it’s almost flat and not as bulky as a whole Christmas tree. You won’t even have to worry it falls when there’s running kids or pet in the house. Whether to make it grand or something simple is going to be your choice. The first photo is a hanging tree instead of a standing tree and still used the green vines . The next photos are different wall Christmas tree ideas. These types are best as tabletop Christmas trees. Usually, people who are too busy to decorate or some who are living alone use this one. But to some who had huge trees already and yet they still choose to put up a little tree on their dining table or living room table. It’s spreading the Christmas spirit all over the house! 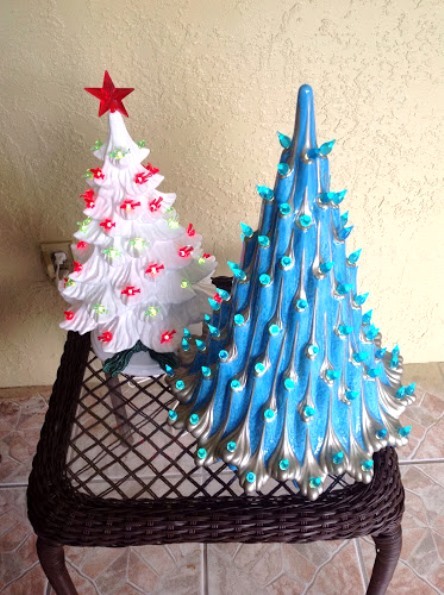 Some of these tiny trees are DIY (do it yourself) projects using crafts materials. 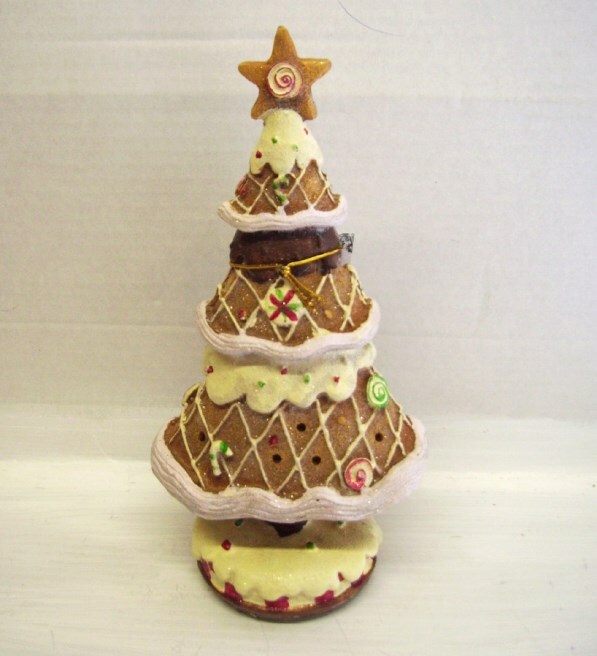 Ceramic are very much famous as small table topper Christmas trees. Though they are small, still if various sizes. 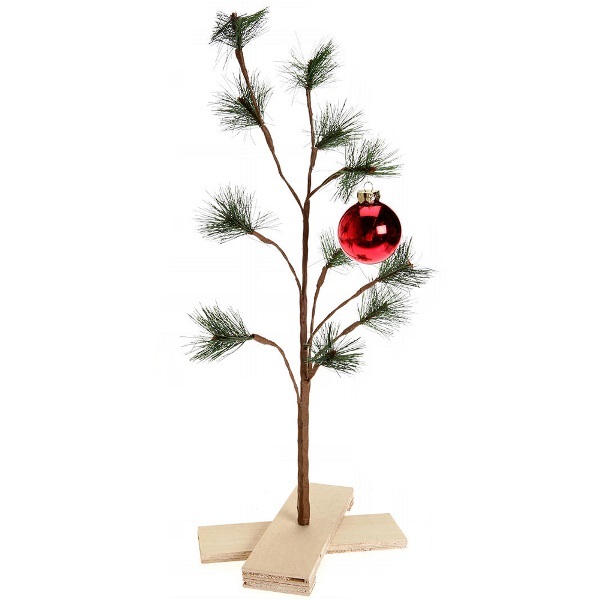 Don’t worry, having a little tree doesn’t mean you have little spirit of Christmas in you lol. Before it’s kinda weird, but nowadays this type of Christmas tree became famous and really eye-catching. No it’s not that the world has turned upside down, just these Upside Down Christmas Trees on the photos below. Still they are very lovely aren’t they? :) I am so sure I have not yet seen gifts stuck on the ceiling so they are still “under” or “top” of the tree? Some of them are hanged on the ceiling, on the wall and some are still standing on the floor like the usual tree. 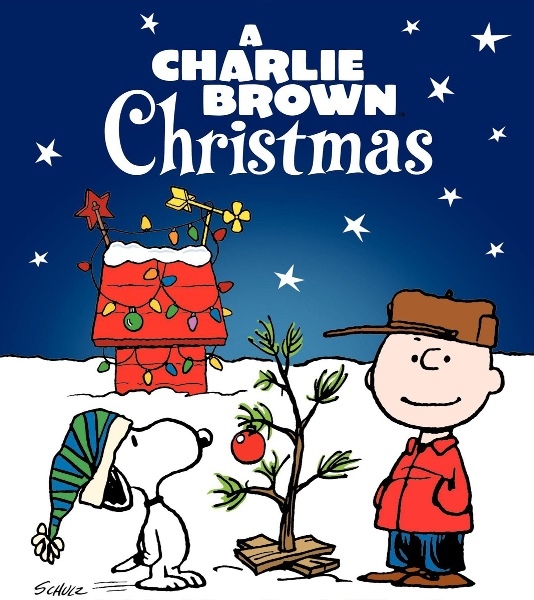 This is from the TV animated special entitled A Charlie Brown Christmas. From the comic strip Peanuts, Charlie is the owner of Snoopy dog. What makes the tree special? It’s because when everyone in the neighborhood wanted modern and commercialized Christmas, Charlie wanted the traditional way. 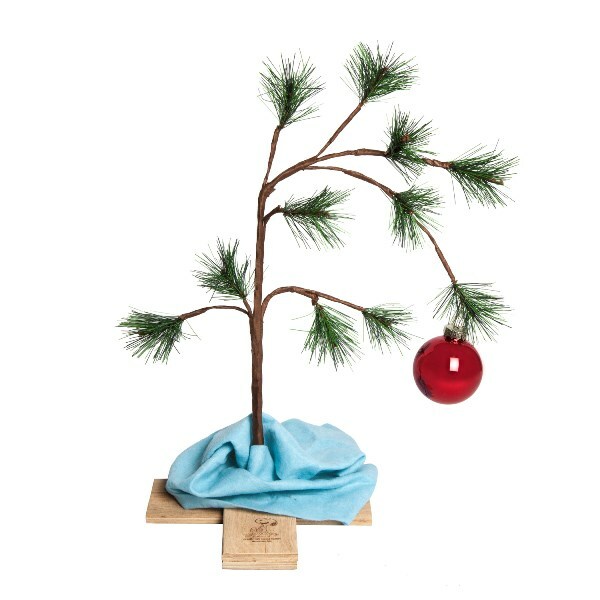 Even for their school play, they needed a Christmas tree and so in his desire to get a real tree from the tree market, Charlie Brown only found a small baby tree which, ironically as well as symbolically, is the only real tree on the lot. He came back to the school play practice but everyone laugh at him and his baby tree. He left and decided to bring the tree at home. Then later on the other kids realized their rudeness to Charlie and visited him. They saw the little tree, decorated it and greeted Charlie with the song “”Hark! The Herald Angels Sing“. I really liked the story! It shared the essence of what Christmas is all about. It’s not about being grand, but instead it’s how simple and little things make us happy -big time! Just like when Jesus was born in the simple manger, somewhere you wouldn’t expect a king be born and yet his birth made the heavens and the earth rejoiced. 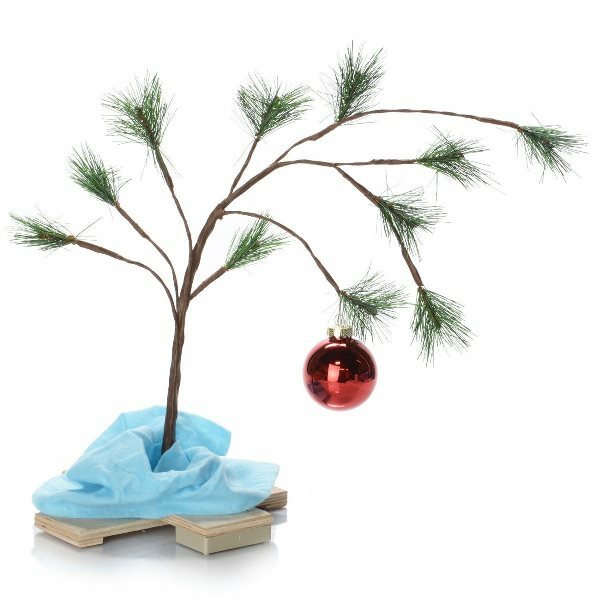 So look at these different Charlie Brown Christmas trees. Simple yet meaningful. Annually, the lighting up of this Christmas tree in the mid-town of Manhattan, New York City is broadcast live nationwide on NBC‘s Christmas in Rockefeller Center show. A huge tree usually ranges from 69 to 100 feet and it’s been a practice to put up the tree since 1933. That’s made the Rockefeller Center Christmas Tree remarkable and awaited by not only the New York residents but as well as people who would hear about it on the news. According to www.rockefellercenter.com, lighting of Rockefeller Center Christmas Tree 2013 will be on December 4, 2013 (Wednesday). Wish I could come! lol. Rockefeller Center Christmas Tree 2012 had 30,000 bulbs. Amazinggggggg! Like in the Rockfeller Center, the White House‘s Christmas Tree is also interesting each year. It’s the United States of America’s official residence and workplace. The official tree is drawn by a horse carriage. Traditionally, the President and the first lady gets photographed by the Christmas tree. This started since Franklin Pierce’s presidency. Here are some few photos for the latest 3 presidents. President Barack Obama and First Lady Michelle Obama pose in front of the Official White House Christmas Tree in the Blue Room of the White House, Dec. 5, 2010. The next Christmas tree samples are not the traditional green trees. 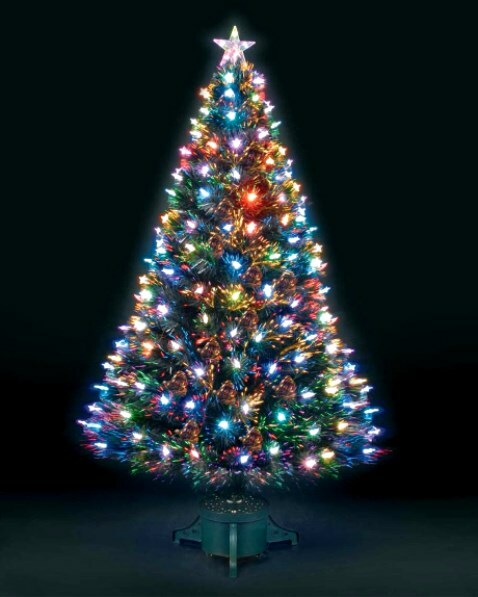 These artificial Christmas trees are made in different colors! Yahoooooo! 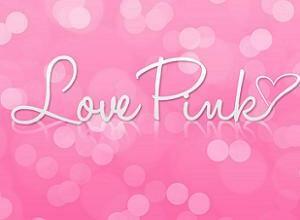 They are very lovely, consider them as eye candies! 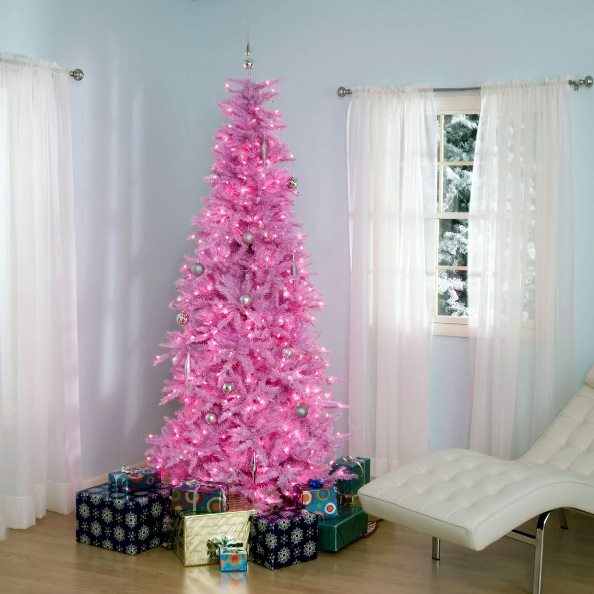 If you’re as rich as businessman and beauty guru Ricky Reyes, then you might wanna put up lots of Christmas trees with different colors as seen in the photo above! Yaaaaaay!! 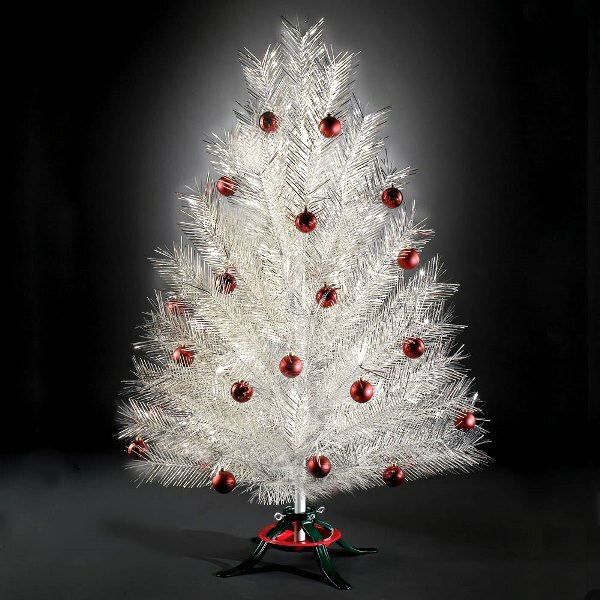 If you’re dreaming of a White Christmas as the song goes, then try for yourself a White Christmas Tree. They are most likely similar to the Silver Christmas tree samples. Very much winter right? 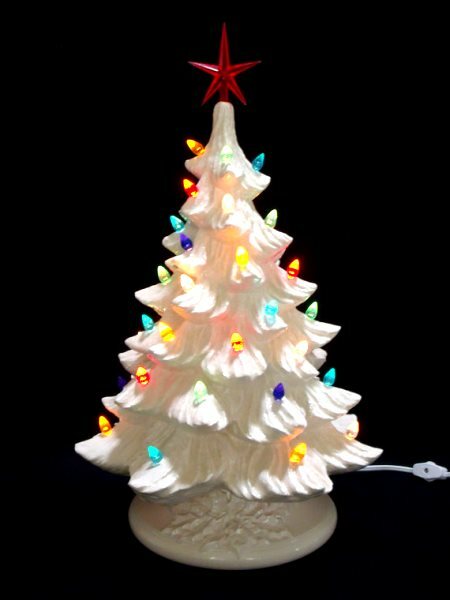 Though the tree is white, decoration colors would be your next mission. 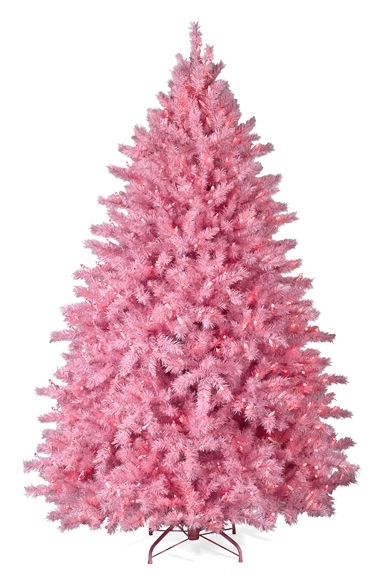 How about some Pink TableTop Christmas Tree! Hey come on! Blue does not necessarily mean sadness. 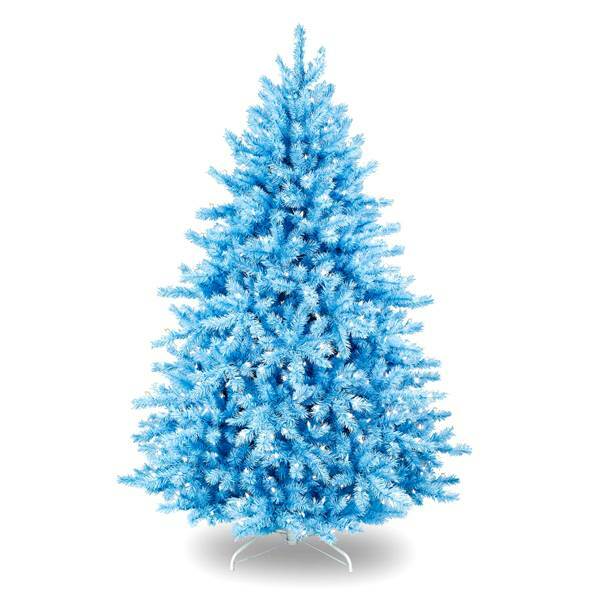 If you like to try a blue Christmas tree, that would be fine. You see it looks really cool! Hmmmm, wanna try to keep the tree up till Valentines Day? Hahaha. But of course, red is very fierce and appealing too like the photos below. 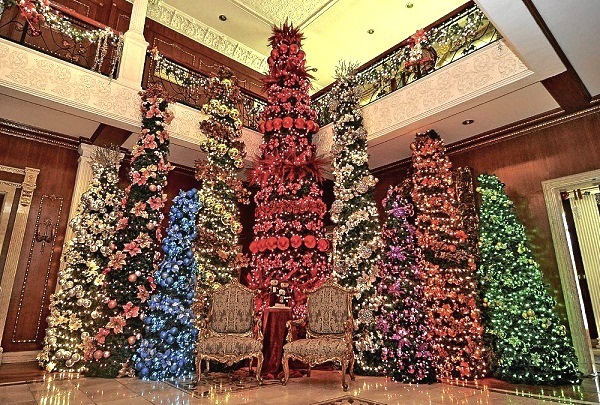 The photo below shows the red Christmas tree at the main lobby of Diamond Hotel last 2008. It’s very unique I may say, the red lanterns were used. How to Decorate Christmas Tree? Well of course you need some nice Christmas Tree Decorations. 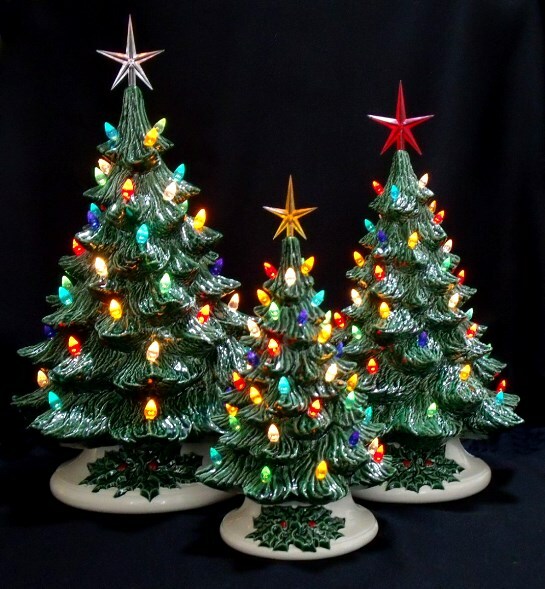 Usually the Christmas tree toppers, Christmas tree lights, Christmas tree ornaments (personalized Christmas ornaments would do),Christmas tree skirts, garlands, ribbons, tinsels, figurines and of course a stable Christmas tree stand. If you’re ready enough then immediately arrange the gifts underneath the tree. This will make the tree more attractive and keep the kids excited till Christmas day! Again, if you don’t have much budget then it’s not necessary to spend grand. A simple yet creative way of decorating would do. Giving you the list of some Christmas tree stores and online shops. May you find a cheap Christmas tree that suits your taste. Consider on buying a Christmas tree storage bag too in case you’re planning to re-use the tree for next Yuletide season. Is there such a thing? Yes but it’s not a tree because it’s actually a title of her song from her 2008 album. 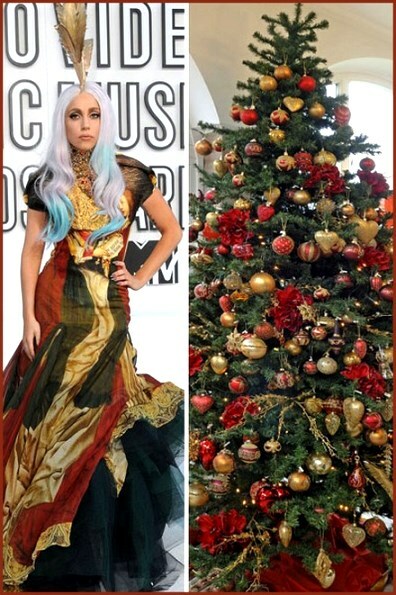 Since some people branded her as the Empress of the Weird and on some events she’s seen wearing Christmas tree concept concepts, then these Lady Gaga Christmas Tree became popular too. 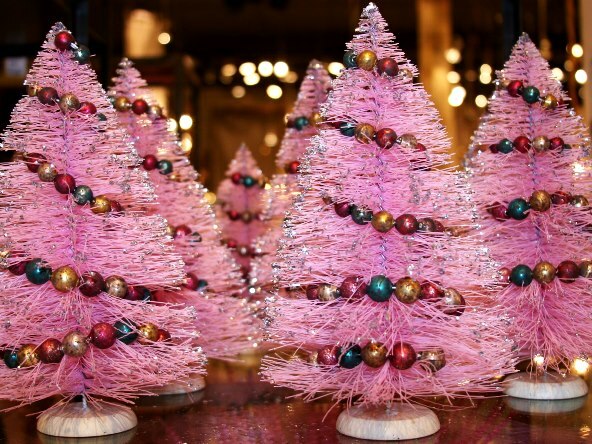 It’s my joy to share with you the best types of Christmas trees that caught my attention. All of the are magical! Yeah they give me that warm and happy Christmas spirit as early as now. I do hope you found yourself a dream Yuletide tree for this year. Something that would make everyone in the house very excited to put up. Merry Christmas everyone and leaving your with the Oh Christmas Tree lyrics.